Rovio has released a number of Angry Birds titles since its original game took off in 2009, but today its first Angry Birds game received a significant update that adds Bad Piggies gameplay in the form of a new Egg Defender mode. In Egg Defender mode, players will use the Red Bird (who has been equipped with new powers) to fight off wave after wave of Bad Piggies. Egg Defender mode adds 15 new levels to the original game, along with 73 pig contraptions. The #1 app of all time gets a fun new update! You may be an expert pig popper, but how will you cope with a moving target? One bird stands between the egg and the advancing pig army in the all-new Red’s Mighty Feathers episode. The fearless Red Bird faces wave after wave of Bad Piggies in their crazy contraptions. But wait! He now has some magic feathers from the Mighty Eagle himself – giving Red incredible new powers as he darts toward those pesky pigs at incredible speed! Fun new gameplay – the Egg Defender mode gives Red special powers to attack the advancing pigs! 15 new levels – the latest Red’s Mighty Feathers episode brings fresh new challenges! 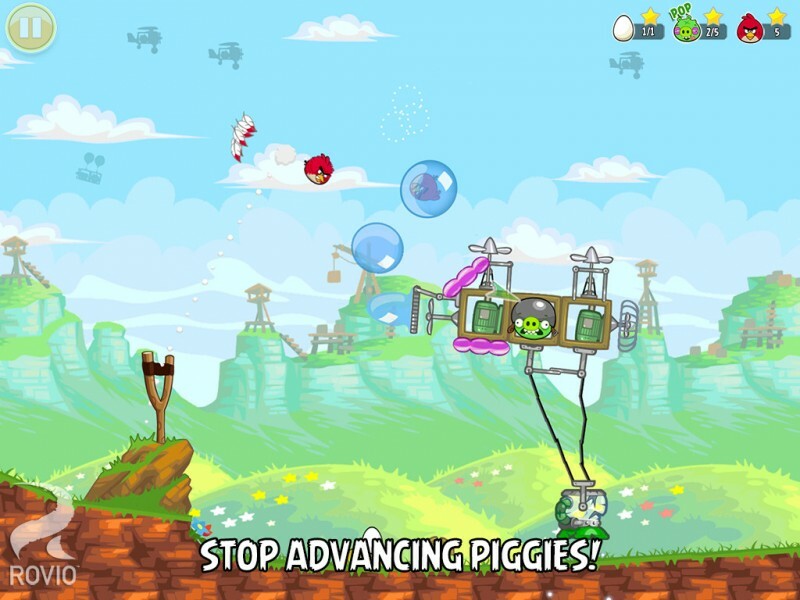 73 crazy pig contraptions – wave after wave of Bad Piggies edging closer in their wacky machines! Angry Birds is available for both the iPhone and the iPad for $0.99 and $2.99, respectively. Why is everyone so critical when there are Angry Birds articles? They still periodically put free updates in a 99-cent game that came out in 2009. (It's 2013 now.) And it's not one of those freemium games where you have to keep pouring money into it to actually advance, either. Love the update, it's annoyingly hard and isn't helping my battery life! Not at all, don't be silly.